I had a conversation with my associate pastor, who is also my children's pastor, last night concerning 'Bible stories.' It is a sad state of the church when our children don't know the basic Bible stories like Noah's Ark; Joseph's Coat of Many Colors; Jonah and so many more. It seems that the church has morphed beyond these wonderful basic stories and has become more 'politically correct' in the preaching/teaching. I know that many churches don't have Sunday School any more, mine included, but is that the only time when we ever shared those stories? I have even noticed that I rarely preach on those stories and when I do, I feel like I need to approach it from a different perspective. Why? The Bible is the same yesterday, today and tomorrow. Therefore, the stories I learned while in Sunday School so many years ago are as relevant today as they were then! I read the Bible every day and those stories are often a part of what I read...I don't want to just skim over them because I know them so well...I am praying that the church will get back to the basics, so to speak, and preach THE WORD OF GOD and not worry about being politically correct or preaching 'modern day' topics. Let's preach the salvation, mercy and grace of our God. Let's preach the miracles of the Bible. 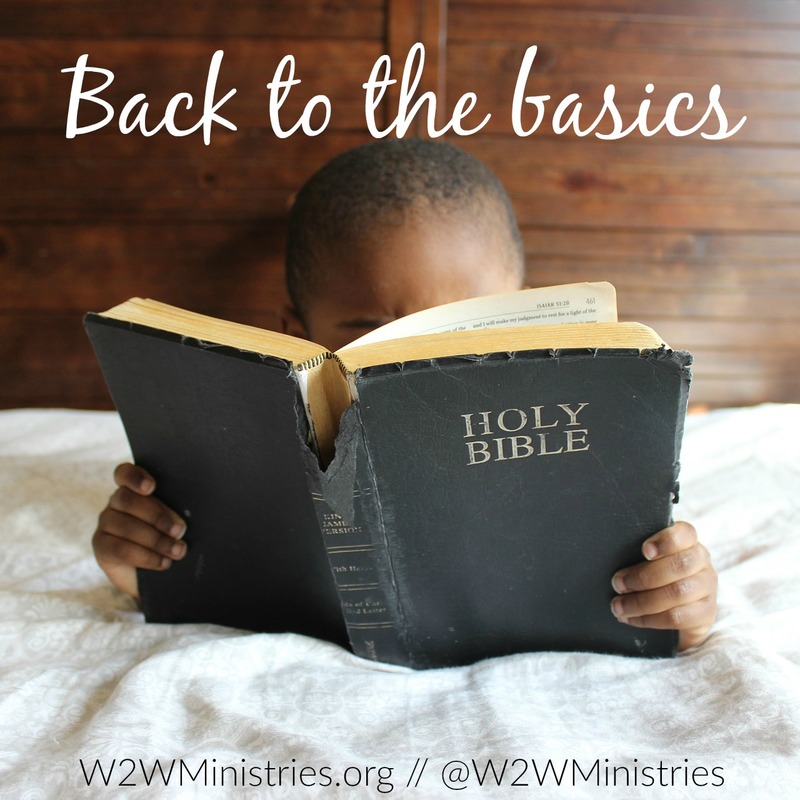 Let's get back to the basics! We teach these stories in our children's class at church. A lot of the kids have never heard them before, so it's great to be able to share them. We feel the same way which is why we launched our series. We really wanted girls to know the stories of the Bible. Train up a child in the way he should go: and when he is old, he will not depart from it.